Some “gurus” define real estate leads as having a full name, a phone number (at minimum), and have expressed interest in your services. Sorry, that’s wrong. Especially with the advent of the Internet. A lead is sometimes even JUST an email address. No name. No phone number. Sometimes it’s even Mickey Mouse or Arnold Schwarzenegger (you know, those fake-name sign-ins who give you a real email address). Now, don’t get me wrong, you definitely want to move the lead along, get them to become a prospect, then a client, then a closed client. That’s typical. But don’t make the mistake of thinking a lead is “dead end” or not viable because you have only an email address. Really. I’m speaking truth here. 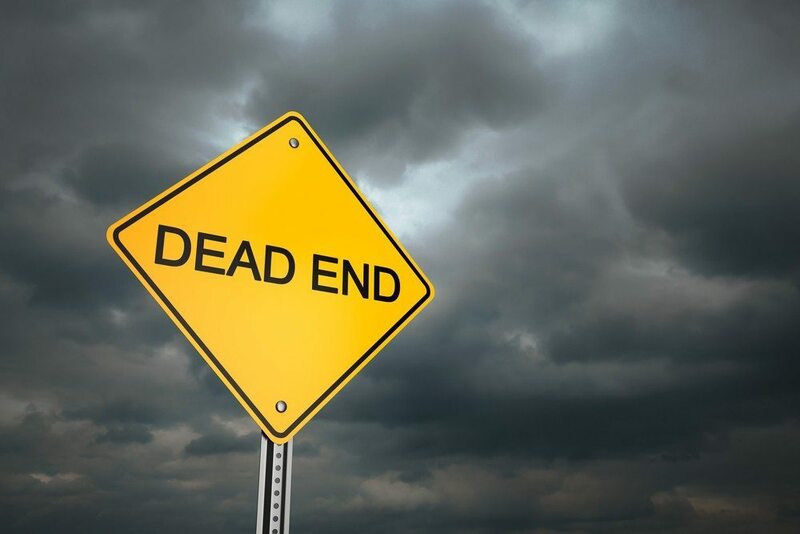 A “dead-end lead” isn’t actually a lead — it’s something that is useless. A sign-in that gives you no way to contact them. Facebook is probably one of the absolute best places to harvest leads because you’ve got so much “intel” on that lead. You can easily get to know them on a level that just isn’t possible for typical email sign-ins or even people you meet in line at the grocery store. And within that process, you’ve got to know how to convert your real estate leads into clients. Just because a lead isn’t ready to buy now doesn’t mean they won’t ever be willing to buy or sell real estate. It just means that they are part of the majority. In other words, they are part of the majority of leads that aren’t ready “right this instant” to use your services. This is why it is imperative that you be in front of their face at the right time. It’s why you need to be sending messages and calls to action all the time, appealing to leads in their differing levels of readiness. See, the thing is, capturing and converting a lead takes time. Lots of it. We aren’t talking about a $25 item you are selling. These leads are dealing with probably the single largest financial transaction in their entire lives. They have to coordinate their desire to purchase with their ability to purchase. It takes the right time. Which means, you’ve got to nurture them until it’s the right time for them. Honestly, I think the No. 1 mistake real estate agents make is this idea that if a lead isn’t ready right now, it’s a dead-end lead. And they make the mistake of giving up on that lead. Which is why they are constantly out having to generate more and more leads. If they don’t generate new leads, their business will die. At some point, you are going to get exhausted having to constantly generate new leads. Yes, you should always be doing it, but if you are only generating leads, you will reach a point that it’s not possible to generate anymore than you already are. At some point you are at a ceiling that you can’t break through. That’s why it’s imperative that you nurture your leads. You spent time, energy and money generating the lead, now nurture it. Stop treating the ones that don’t buy or sell immediately (most of them, by the way) like they are lepers. It takes thought, time, energy and, yes, even some money, to set up a beautiful lead nurturing process. But that time, energy and money will pay off. Huge. In massive returns. The thing is, when you are nurturing leads, you are also, in a top secret way, lead generating. Now, I’m not here to say that a beautiful lead nurturing system is an easy thing to create and implement. It’s not. It’s ever-changing. You’ll constantly be tweaking it. But your efforts will be so incredibly worth it. However, what I am here to say is this: Why are you spending more time, energy and money in your attempts to lead generate (and seemingly bringing in dead-end leads) than you are in lead nurturing (moving those supposed “dead-end leads” through the sales funnel)? I hate to be the truth sayer here, but the leads aren’t bad. Your lack of conversion efforts are. When you believe the truth that no lead is a bad lead, truly believe it, you’ll not only change your thinking, but you’ll also change your efforts and focus. When you start spending time nurturing, your business will start to explode. So snap out of the whole “they are dead leads” or “bad leads” and snap into the idea of nurturing that lead. Six months from now you’ll be so happy you did! For more tips, check out our 7 top real estate lead generation sources and our list of 50 ways to get more real estate leads on your website!